Have you ever stood in Tractor Supply, staring at the bag of oats, and wondered which to buy? First of all, a grain kernel is also called a groat. Whole Oats are minimally processed. They are harvested and cleaned, and then the outer hull is removed. This part is inedible anyway. groat, cleaning it, hulling it, steaming it, and rolling it flat. This makes it last longer and cook faster. So, based on these statistics, you can see that nutritionally, whole oats and rolled oats are the same. 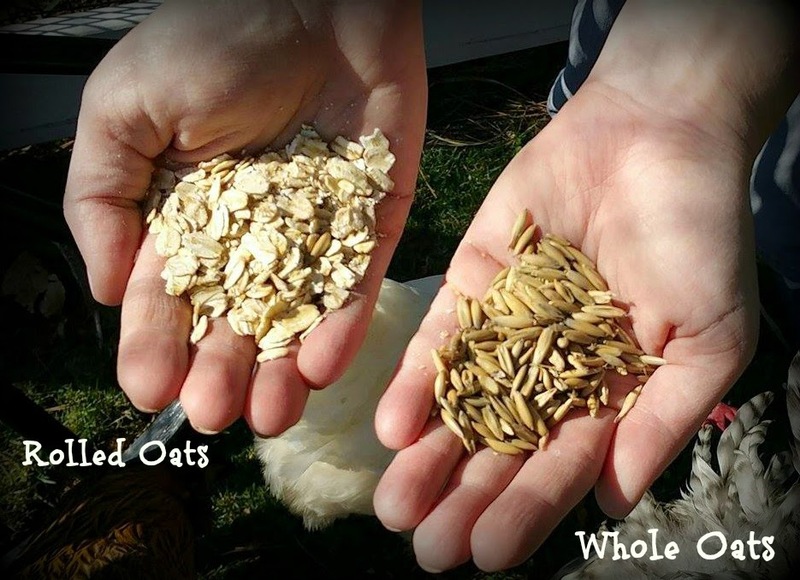 However, based on research it takes so much longer for the body to break down the whole oats, that it is actually less nutritional, because it cannot fully break it down before it passes out of the system. The rolled outs are much easier for the body to process, and it seems that they would end up being the better option. 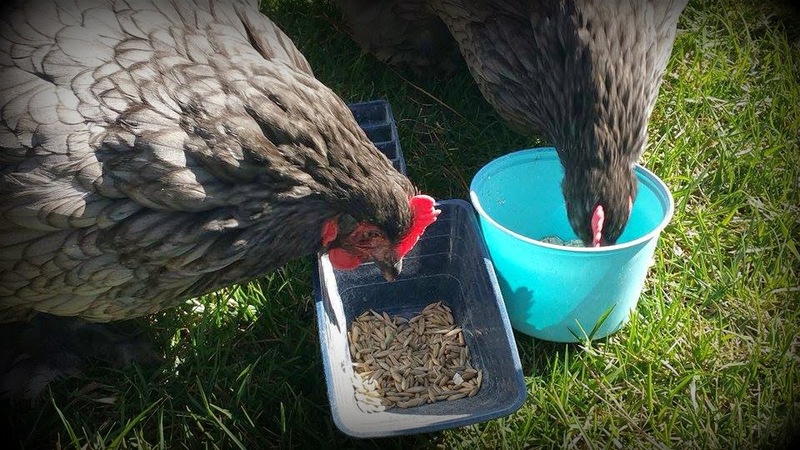 As you can see here, our girls loved the whole oats, and they thought they were getting a very special treat. So, what I think we will be doing from now on is a 50/50 mixture of both whole and rolled oats. Make sure this is only part of the feed you give your girls daily though.